Post Hill Press, 9781682615898, 160pp. Michelle Blair Wilker is a Los Angeles-based writer and producer. Her work has appeared in Across the Margin, Whistlingfire, Hollywood Dementia, and The Huffington Post. She was a finalist in Glimmer Train’s November 2012 contest for new writers and was short listed for the Fresher Writing Prize in 2015. In 2017, she attended DISQUIET: Dzanc Books International Literary Program in Lisbon, Portugal, and was featured in The New Short Fiction Series in Los Angeles. TV producing credits include Stand Up to Cancer and The Grammys. "Michelle Blair Wilker's work is a welcomed joy. Her unique diversity of storytelling coupled with her colorful prose makes the characters leap off the page. I highly recommend." "In literature, as in music or even life, everything often comes down to discovering your own voice. Michelle Blair Wilker has found her voice as a writer—one that is smart, subtle and sharp. So now it's our turn to discover her." "Michelle Blair Wilker's writing has a lyrical quality to it, and she has a unique ability to impart both a sense of desperation and hints of hope in the same passage. She so succinctly conveys both setting and mood, that there's no need for wasted words." — Kristen Hansen Brakeman, Author of Is That the Shirt You're Wearing? "Michelle Blair Wilker writes about slices of life with unexpected turns, and though the characters are unique in their own ways, I find myself relating to them. I always look forward to her next story; she makes me laugh and she makes me think." "Michelle Blair Wilker writes with wit, passion, and insight. She has clearly observed life across her years and deftly translated it to the page." "This incisive collection by Michelle Blair Wilker is a refreshing take on the American short story - an insightful look at life and love in the modern age." "Michelle Blair Wilker knows the complex underpinnings of our souls. 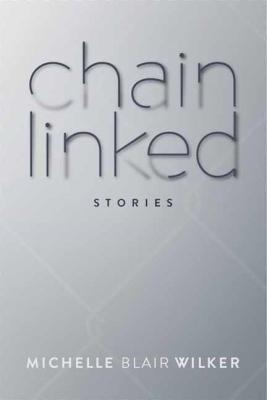 Chain Linked follows the blue highways of her characters' hearts—readers will be captivated by every twist and turn through Wilker's journey to its compelling end."